Learn from free autism webinars from leading autism speakers each month. Plus access 53 previously recorded webinars. Spectacular Bond: Reaching the Child with Autism with co-authors Dr. Marion Blank (developmental psychologist) and Susan Deland (parent of a child with autism). The book outlines a powerful six-step behavior program for children with autism that is implemented at home by a parent. The program is grounded in the latest research in neuroscience, linguistics, and the psychology of parent-child interactions. Through the program, children can achieve – within weeks – more meaningful social interaction, diminished temper tantrums, greater capacity for self control, and improved attention. When this behavior program is combined with optimal biomedical treatment, meaningful progress is possible in all aspects of development. Preparing for Independence and Growth. This is our 5th annual autism conference and workshop sponsored by Momsfightingautism.com. All you need is your computer and phone to participate in this event. Dr. Hillier an expert in vision and how it applies to autism will be presenting a free online event where parents, educators and parents can listen in and ask questions. This topic is a vital subject just in time for back to school We hope you can make it to this wonderful talk. 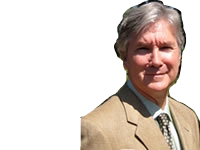 Carl G. Hillier, OD, FCOVD of the San Diego Center for Vision Care, graduated from the University of California San Diego in 1977 with a Bachelor of Arts degree in Psychology. He received a Bachelor of Science degree at Pacific University in 1980 and then graduated as a Doctor of Optometry in 1982. He is a Fellow in the College of Optometrists in Vision Development. Dr. Hillier is an adjunct clinical professor at the Southern California College of Optometry and Illinois College of Optometry. In 1992 Dr. Hillier helped found the Vision Rehabilitation Clinic at the San Diego Rehabilitation Institute at Alvarado Hospital. This Presentation will focus on AIT (Audio Integration Training), a sound and music therapy developed by Dr. Guy Berard that helps normalize the hearing and the way the brain processes information. Many individuals that suffer from Autism Spectrum, and other learning or neurological disorders have abnormalities in the way that they hear. With the hearing normalized, many of the learning and other issues (such as: ability to focus, hearing sensitivities, speech/language and social skills) begin to improve or clear up. AIT provides a “re-training” or “re-organization” process done over the course of 10 days. 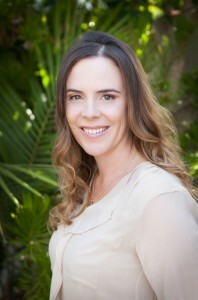 Sarah Gewanter, MSW, LCSW, Berard Auditory Integration Training (AIT) Practitioner. Sarah Gewanter has over 25 years of experience as a licensed clinical social worker. She received her graduate degree at Columbia University in 1981. She has been on faculty at Columbia Univ. School of Social Work and for the past 15 years has been working families with special needs especially Autism Spectrum Disorders. Ms. Gewanter is the Clinical Director of The Counseling Centers located in the Asheville area of NC and Fairfield County, CT. She is an official trainer for the Auditory Integration Training-International Practitioners Forum and brings a special ability, warmth and sensitivity to the children and families who come to her for treatment. Sarah is on the Board of several community not-for profit organizations which support the arts and cultural exchange. Standardized assessments are of limited value for individuals who communicate nonverbally or with very few words. Dr. Brady will discuss how to combine information from caregiver report with information from structured assessments to describe how individuals communicate with gestures, vocalizations, signs, symbols as well as spoken words. She will describe a communication scale called the Communication Complexity Scale that she and colleagues developed to describe communication development starting with awareness of one’s surroundings up through beginning word use. Bio of Nancy Brady, Ph.D.
Nancy Brady, Ph.D. is a professor at the University of Kansas. She has been conducting research on communication assessments and interventions for over 20 years. She is a certified speech language pathologist and has over 40 publications. You know how some students with learning challenges such as autism, attention deficit disorder or learning disabilities have poor grades, struggle with school work and think they can’t learn…well I help children with these problems to improve their grades, and increase their chances of getting into college, all while helping them develop their true talents. * Be taught in a way that fits their learning style—not just the same old approach that is used for other students. * Catch up on basic skills they’ve missed because they learn differently. * Build their core learning skills such as attention and memory that students need to be successful. * Learn how to set priorities, manage their time and study to remember what they are learning. * Believe in themselves again so they can play the game of school to win. My five-step SUCCESS program gives students with complicated learning needs the tools they need to be successful in school and in life. Dr. Kari Miller, PhD, Board Certified Educational Therapist, began her career almost twenty years ago as a special education resource teacher. She has worked with students in a vast array of capacities, including special education teacher and educational therapist. Dr. Miller has a PhD in Educational Psychology and Mathematical Statistics, a master’s degree in Learning Disabilities, Gifted Education and Educational Diagnosis, and a bachelor’s degree in Early Childhood Education and Behavior Disorders. Visit her website to learn about the power of her SUCCESS approach to educating learners with complicated learning needs such as autism, learning disabilities, and ADHD. Julie Matthews, leading autism nutritionist, has worked one-on-one with hundreds of parents around the world and lectured to thousands of others. Julie will identify the top five diet pitfalls that plague both parents and clinicians. She’ll explain why people get caught and how to avoid traps, common misbeliefs about special diets, and present specific strategies to course correct. And she’ll share her favorite nutrition boosters suitable for all children and adults.